One Steam review is a person shouting into the void. Two is an argument. A whole mess of them, though? That’s a deep, dark look into the collective psyche of Steam users. 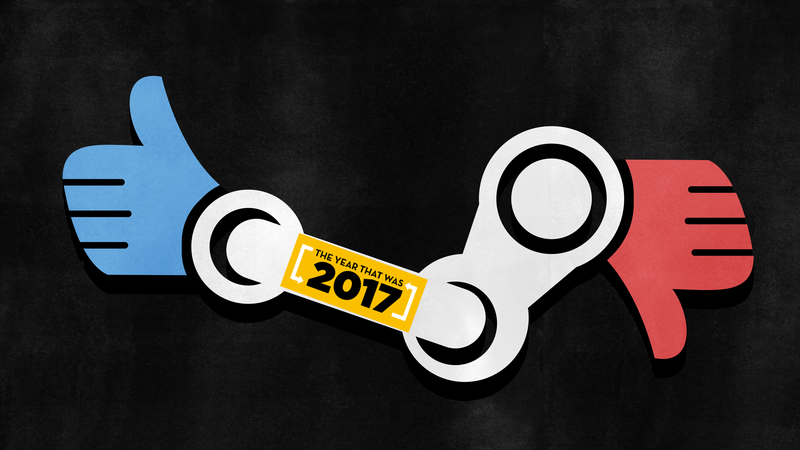 In 2017, we rounded up the best reviews of the year’s top Steam games and maybe, just maybe, learned a little something about ourselves. It’s been an interesting year for Steam reviews. Valve made a series of subtle but potentially impactful changes to the system, first by removing games received for free—for example, via free weekends or gifting—from games’ overall review scores, and then by taking aim at review bombs and other sorts of manipulation by adding charts and changing the review upvoting system. All the while, though, people kept voicing their opinions on Steam games. Some were well considered and interesting, and others, well, they provided people some laughs, at least. Viewed all at once, they might not make for the most indicative snapshot of the year in games, but it sure is hard to look away from.